We focus our attention during every phase of the project, we are always available to answer any questions you may have. 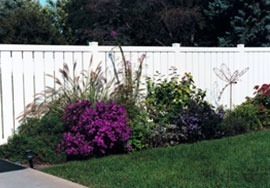 Let us help you choose a fence that will suite your needs and complement your home while staying within your budget. 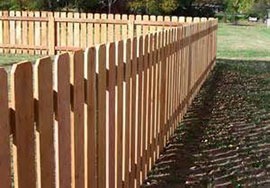 Woodsmith Fence offers dozens of fencing solutions customized to meet your needs. 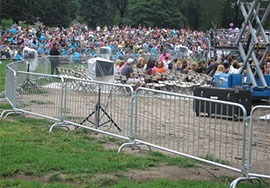 We offer vinyl, chain link, aluminum and wood fencing. 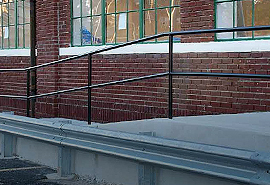 High Security Fencing and Enclosures, Guardrails, Bollards, Gates and Controllers, Dumpster Enclosures, DOT Bridge Safety. 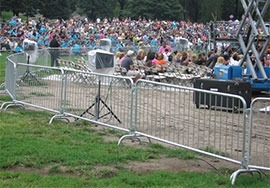 Woodsmith Fence is your one-stop source for portable special event fencing, barricades, windscreen, chain link fence guards and more. 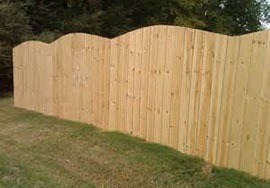 Specializing in all aspects of fence and gate design, fabrication, installation, repair, and maintenance. Dumpster Enclosures and much more. Enhance the privacy, security and investment value of your Buffalo, NY home with the construction of a beautiful and enduring fence from Woodsmith Fence Company. Since 2006, our locally-owned company has served residential and commercial customers alike, providing them with the highest quality products, installed at a reasonable price. Our commitment to quality service – assures your satisfaction and has earned us hundreds of referral customers over the years. From conception to completion, our innovative team of designers and builders – will ensure the construction of a fence that will grant you immediate satisfaction and lasting pleasure. 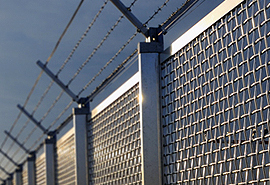 As a fully licensed and insured fencing contractor, our service area includes Erie County, Niagara County, and all of the Western and Central Counties of New York State. When anything happens to your fence, Woodsmith Fence is there for you. We’ll let you know if a fence repair is the better choice or if you should consider replacing your existing fence. 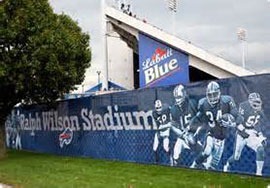 We repair all types of fences: vinyl, chain link, aluminum, wooden, temporary, commercial, and others. With our professional experience and skill, you can trust us as your fencing contractor. Contact us today and we’ll inspect your fence and offer a free estimate on any fence repair.